Take a look here at the Gifted Education in NM Technical Assistance Handbook. The CIS Gifted Advisory Committee meets 3 times per year to discuss and support the effectiveness of our program and encourage continuing success. 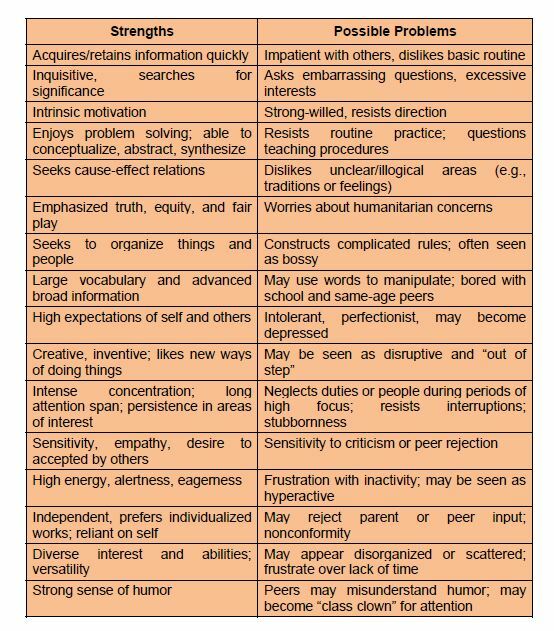 According to Webb (2004), there are many likely problems associated with the characteristic strengths of gifted students. Some of these typical strengths andÂ possible problems are provided below.